Lady Shona Comedy is proud to bring you some of Scotland's finest comedians to Coatbridge. 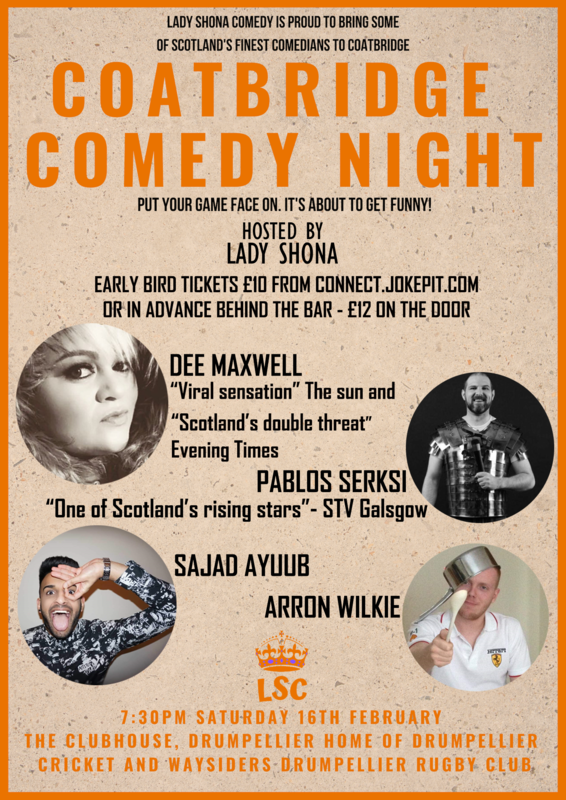 These fantastic new comedy nights are expected to selling out fast at the fabulous Clubhouse at Drumpelliers, Waysiders Rugby Club as the best of Scottish Comedy comes to North Lanarkshire. The best comedians from across Scotland have been making this one of the best comedy venues to visit.